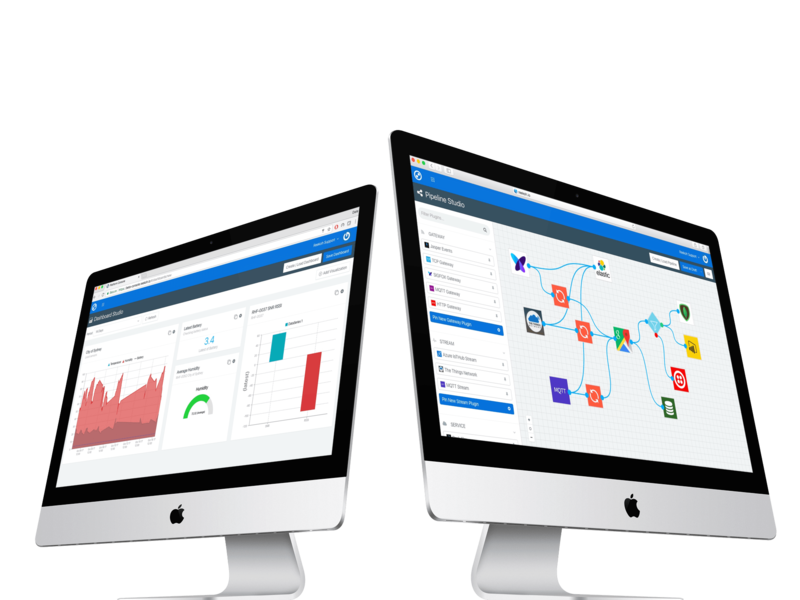 Reekoh is an award-winning agile integration platform for the modern enterprise – built specifically to bring the Internet of Things, data and API’s together with your existing enterprise business systems and processes. Our platform empowers enterprises with tools for reducing complexity, removing barriers and accelerating time-to-value in their IoT and data driven solutions. Securely manage IoT device and business app data ingestion from across disparate and fragmented systems, protocols, networks and data formats. 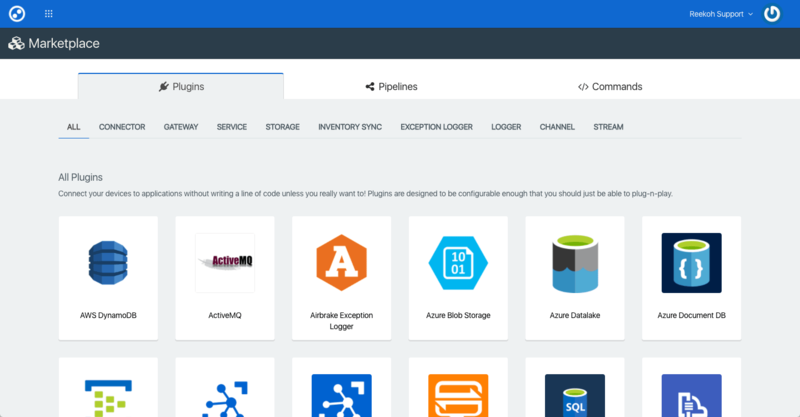 Integrate data to various endpoints for application and process logic, storage and data analysis, as well as physical and digital automation. Reekoh is an IoT and data fabric, providing a secure and agile toolset for device and data management, business workflow and automation design – from POC to full-scale production. Reekoh utilises a container and micro-service architecture for extreme platform portability from edge, to public or private cloud to suit your deployment requirements. Plugins are not just “connectors” to other platforms. They are modular, repeatable integration assets that are used for connecting data from and to all aspects of the IoT value chain; device/chip, protocol, network, security, service and application. Using the Reekoh Open Plugin Framework, new integrations can be developed in rapid time, dramatically speeding time to market. 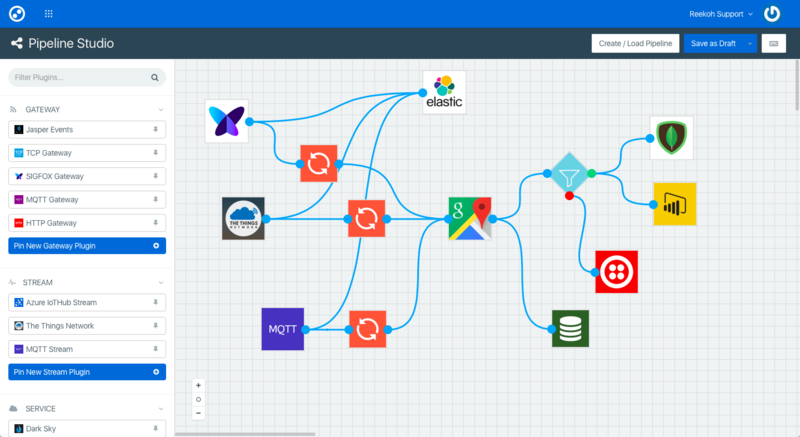 Reekoh’s Pipeline Studio is a visual flow design tool for creating data workflows that control how data moves from IoT device, through data-enrichment and transformation services, and on to connections with databases, messaging tools, applications and even other IoT platforms. Our two-way communication flow also bridges app-to-asset commands for phyiscal control and automation.